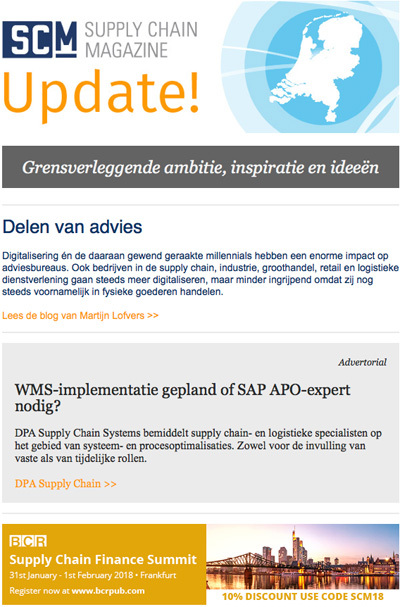 The SCM Update e-newsletter currently has nearly 6,000 subscribers. For advertizing opportunities in this e-newsletter download our company kit. 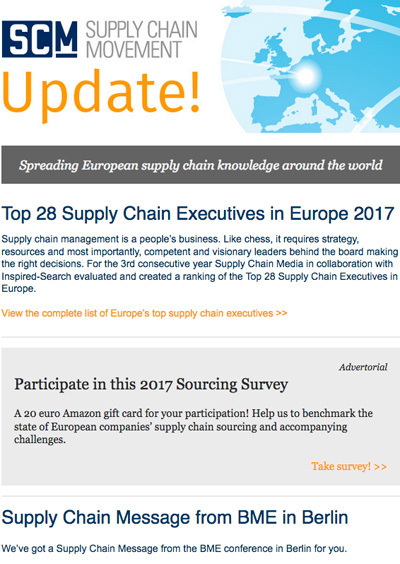 The SCM Update Europe e-newsletter currently has over 10,000 subscribers.